It is used to cover up the eyebrows to create stimulated injuries such as bullet holes, broken nose or three-dimensional effects. Because to warmth of your hands it becomes smoother in that way it will provide you to create any shape which you would like to make. You can directly apply on your bare skin. 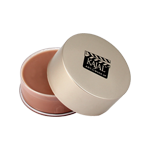 It is easily cleaned cleaned by Kajal Make-up Remover.